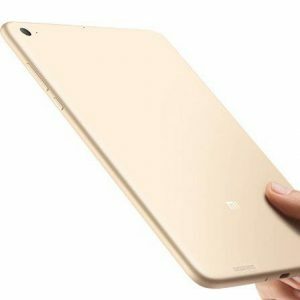 Xiaomi’s Mi Pad 3 was coming up in rumors quiet a few times and finally, Xiaomi has officially launched the Mi Pad 3 today and the device will be going on sale from tomorrow on various channels. Along with the Mi Pad 3, Xiaomi has also launched the Mi 360° Panoramic Camera. As far as design is concerned, the Mi Pad 3 is made from a metal alloy material which gives its appearance a tough but slightly textured look. The metallic body is polished using a sandblasting process which doesn’t remove the texture but also gives it a comfortable feel when held. The Xiaomi Mi Pad is powered by a high-performance MediaTek processor with a clock frequency of 2.1GHz. The tablet comes with a 7.9-inch retina display with 2048 x 1536 pixels resolution and PPI of up to 326. At the rear, there is a 13MP shooter while up front, you get a 5MP selfie camera. The tab comes with 4GB of RAM as well as a 64GB storage. It uses the USB Type-C charging interface and supports WiFi 802.11ac dual antenna band. This tablet also comes with support for low-power Bluetooth 4.1 technology. This tab also comes with a massive 6600mAh battery which supports 5V/2A fast charging. The tablet device gets its interface from the MIUI 8. The Xiaomi Mi Pad 3 carries a price tag of just 1499 Yuan ($217/Rs. 14999 INR) and will go on sale at 6 AM on April 6 on Xiaomi Mall, Lynx, Jingong, Suning and Mi Home.